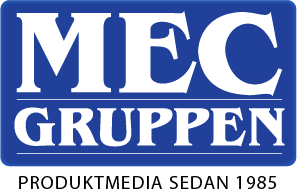 MEC Gruppen is a promotional item wholesale company based in Sweden, established in 1985. We supply the business of product media with communicative items for strong and successful campaigns. We have a very strong trading position with our manufacturers and suppliers, therefore, as our partner, you would certainly benefit from all the advantages we are able to offer.We only sell to resellers. Let us handle the sourcing, production and trading and save your time for customer service and sales. We have long experience of supplying according to the customer’s needs. We have been trading from China for more than 30 years. This has given us a solid knowledge of import and customised production. We supply our distributors with products in their own design. For every product, we have a number of contracted and approved manufacturers. For stock items, NS Promotion is proud representatives of Giving Europe, the leading supplier of tested and certified promotion items from stock. Our trading orders are mainly shipped by air – so you don`t have to wait for months to get your customised design. We are proud members of PWA (Promotion Wholesellers Association).